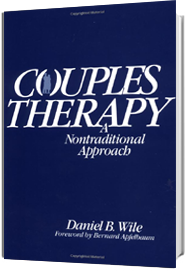 Presents some of Apfelbaum’s papers on ego analysis, the psychotherapeutic theory on which Collaborative Couple Therapy is based. 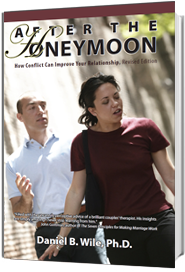 John Gottman’s website. 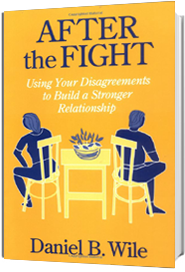 Gottman’s research, and the therapeutic approach that he developed out of it, converge in important places with Collaborative Couple Therapy. See, in particular, Gottman’s concepts of repair; emotional bids; turning toward, away, and against; perpetual problems; and the hidden dream. Susan Johnson’s website. Johnson’s Emotionally Focused Therapy, which is based on attachment theory, has much in common with Collaborative Couple Therapy. Harlene Anderson’s website. Anderson, with her colleague Harold Goolishian, developed an approach, Collaborative Therapy that goes far in developing a truly collaborative rather than hierarchical relationship with their clients. I borrowed the term collaborative from them.